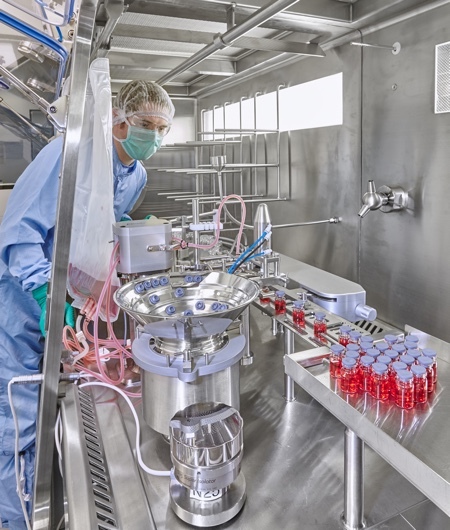 Washing, drying and sterilising pharmaceutical vials usually takes place at the pharmaceutical manufacturing site immediately before the drug is filled. 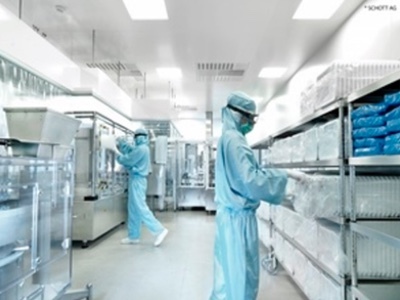 Pharmaceutical companies perform pretreatment steps, such as washing and sterilising the vials, using their own washing machines, cleanrooms and sterilisation tunnels. But as personalised treatments, government regulations and the rise in generic medications strengthen their grip on the industry, more drugmakers are feeling pressure to cut costs and improve efficiency on their filling lines. In an effort to eliminate these steps, pharma companies sought alternatives for filling vials along the lines of the proven system for pre-fillable syringes. Pharmaceutical packaging manufacturers have long supplied sterile syringes packaged in nests and tubs. These syringes are ready for filling, enabling pharmaceutical manufacturers to avoid pretreating the glass or polymer body and the need for washing and sterilising machinery. By arranging for the vial manufacturer to take care of these processing steps, pharmaceutical manufacturers can increase their flexibility, lower their operating costs and avoid having to purchase machines and cleanrooms. 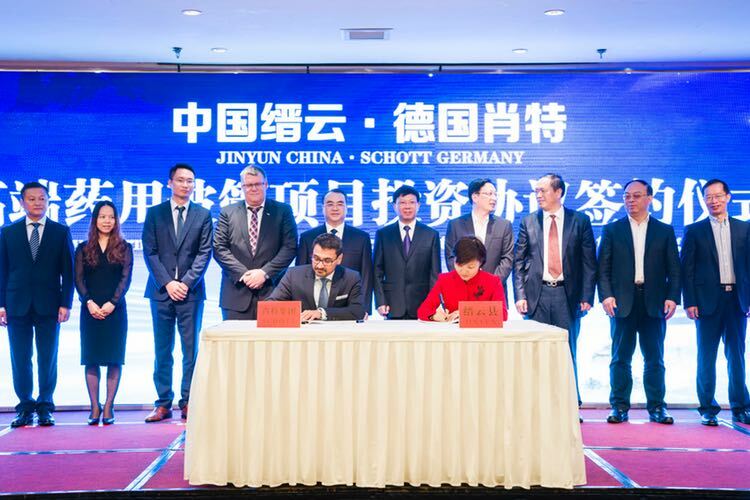 Schott, a pharmaceutical packaging manufacturer, has worked in close co-operation with filling line manufacturers to develop a new packaging system that fits their requirements. 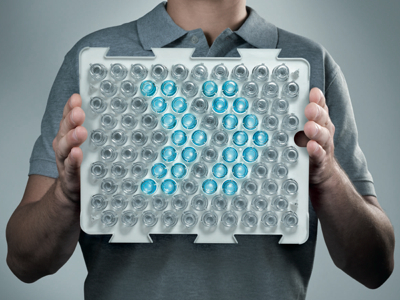 Up to 100 sterile and pre-fillable vials can be fixed securely inside the nest of the new Schott adaptiQ system. They can no longer come into contact with each other or be scratched, and this in turn reduces the reject rate. In an industry first, this system allows drugmakers to freeze dry, weigh or close their filled vials inside the nest. 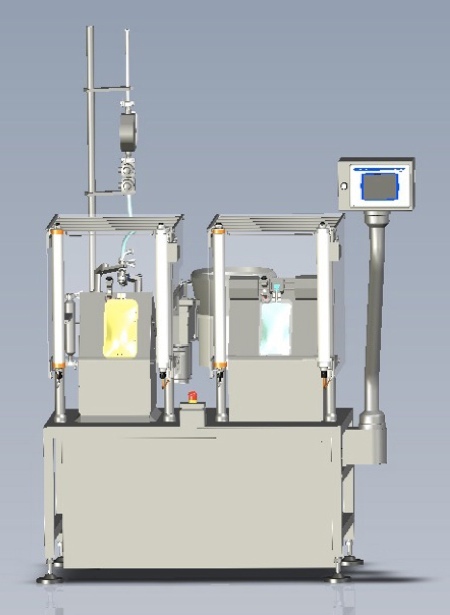 The end result is a new system for filling vials that trims costs and streamlines production. Personalised medication: Cancer treatments and drugs used to treat rare orphan diseases are just two kinds of special medications rising in use. Because they are designed to treat very specific diseases, these medicines require the production of smaller batches than traditional drugs. As a result, this kind of medication calls for small, flexible filling lines. The costs of washing and sterilisation machines are obviously much higher with smaller lot sizes. Government regulations: In some countries, certain drugs can be sold only if they were manufactured inside that country. This forces pharmaceutical companies to set up their own local production facilities to serve that particular international market. However, these facilities will require a high investment forcing manufacturers to seek new technology to keep costs as low as possible. Generic drugs: Finally, with the rise in generic drug manufacturing, companies have had to scramble to set up generic drug lines when particular patents expire. The companies are usually under immense time pressure to develop and produce the medication before other manufacturers saturate the market. In this instance, reducing the number of machines and plant components can help to get a pharmaceutical line up and running as quickly as possible. 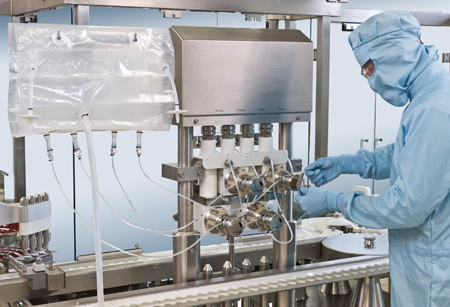 With these trends in mind, Schott sought a way to reduce overall operational costs for pharmaceutical companies through the development of a new system for ready-to-fill vials. 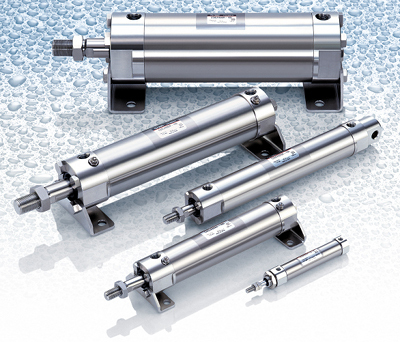 After two years working closely with filling line manufacturers, Schott will launch the pre-fillable vial system adaptiQ in the third quarter of 2014. 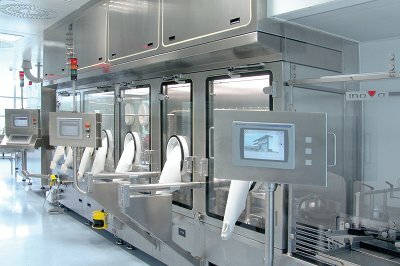 This system meets pharmaceutical manufacturers’ three requirements: that it uses a nest-and-tub configuration like that for pre-fillable syringes, that the nest be made using a proven material, and that the bottoms of the vials be freely accessible to allow for freeze drying of sensitive pharmaceutical formulations without having to remove the vials from the nest. The design of adaptiQ is based on a nest and tub configuration that overcomes the major roadblock that has prevented a ready-to-fill vial system in the past – each vial must be easily and safely removed from the nest for certain processing steps. Because adaptiQ holds each vial by the neck, vials can be processed without coming into contact with one another on the filling line, preventing scratches or breakage that could affect vial integrity. With the influx of high-priced medicines, such as biotechnological pharmaceuticals, it is crucial to keep the vial reject rate low to reduce unnecessary expenses. 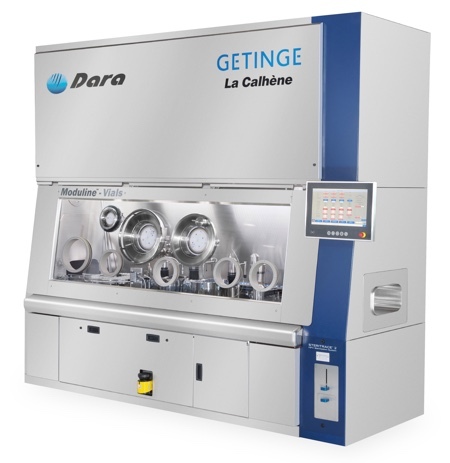 And by mirroring the nest-and-tub design used for syringes, the new nest system can be processed on existing nest filling lines, eliminating the need for further investments in machinery. The system will accommodate formats 2R and 4R ISO initially and then gradually transition to all of the other common ISO formats of 2 to 30ml. To ensure the vials and their nest packaging were prepared for the filling line, Schott ran a number of finite elements method (FEM) tests to ensure accurate and efficient filling. Through this process, the company chose to form the nest packaging with polypropylene, a well-established material in syringe nests due to its easy development through injection moulding. 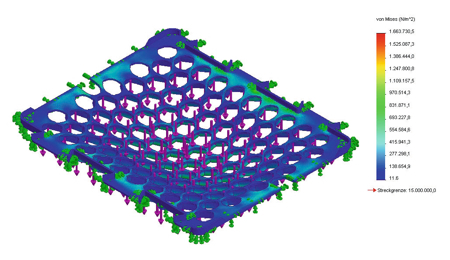 To ensure product integrity, the team of developers used simulations to ensure the nests’ stability during the freeze-drying and sterilisation processes. Furthermore, the team tested the nests’ ability to bear the weight pressure of all the vials when filled with fluids (see Figure 1). After developing the nests, Schott worked to ensure a successful vial-nest connection throughout the filling line. The vials are secured by their necks within the nest and held in place by three snap-in hooks. The clips that hold the vials in place were the main focus of the FEM calculations, since they are essential to the success of the nest design. The clips needed to withstand outward bending pressures to ensure the body of the vial could pass through the clips without breaking either component. Also, the clips had to spring back and securely hold the vial beneath its curled edge if the vial was inserted to the extent that the clip reaches the vial’s smaller neck region. Schott also tested the clips to ensure they held up to the forces and pressures that the filling process would exert on them. The forces calculated proved to be quite realistic. Robots are able to place the vials into the nests without difficulty. The higher price for ready-to-fill sterile vials compared with conventional vials will be more than compensated. Yet total cost of ownership (TCO) considerations have shown that pharmaceutical companies can reduce operating costs by adapting this system solution. There are various costs that pharmaceutical companies can reduce or avoid by outsourcing processing steps such as depyrogenation, washing, and sterilisation of vials to Schott, leaving pharmaceutical companies responsible only for filling the vials inside the nest themselves. Pharmaceutical companies can save money on washing machines, systems for manufacturing water for injection (WFI), sterilisation tunnels, and components for filling systems, such as accumulation sections and rotary discs. By avoiding sterilisation and washing, manufacturers can also reduce energy and water consumption, shrinking operating costs. 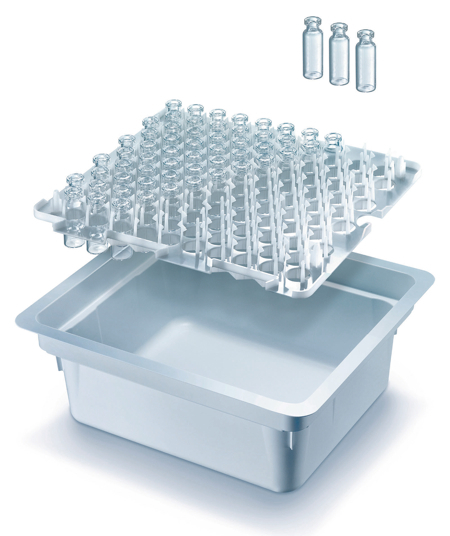 In addition, the new nest and tub configuration reduces the vial reject rate during filling, saving additional costs. Although some healthcare trends continue to strain pharmaceutical manufacturers, it is possible to reduce total operating costs and find success in the uneven pharmaceutical landscape. With the implementation of ready-to-fill vials, pharmaceutical companies can take the next step in providing high-quality packaging products while reducing overall expenditure.